Robert Owens is in his 18th year as Director of Bands at East Coweta High School in Sharpsburg, Georgia. 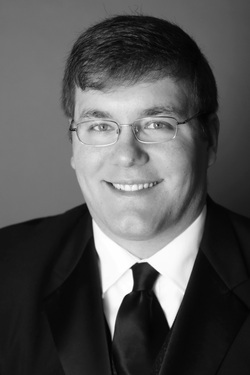 Prior to that, Mr. Owens was the Assistant Director of Bands for two years at McIntosh High School in Peachtree City, Georgia, and three years at Starr’s Mill High School in Fayetteville, Georgia. A native of Calhoun, Georgia, Mr. Owens graduated from Calhoun High School and received his Bachelor Degree in Music Education from Jacksonville State University in Jacksonville, Alabama. At JSU, he belonged to the Wind Ensemble and the A Capella Choir, as well the “Marching Southerners.” In 1990, Mr. Owens marched with the DCI finalist “Spirit of Atlanta” Drum and Bugle Corps under the direction of Tam H. Easterwood, who was then the Director of Bands at East Coweta High School. During his tenure at East Coweta, the concert bands and the marching band have consistently received superior ratings and many first in class awards. The Wind Ensemble has performed at The University of Alabama High School Honor Band Festival, The Columbus State University Honor Bands of Georgia Clinic, The Kennesaw State University Concert Band Invitational, the Southeastern Honor Band Clinic at Troy University and the Music For All concert band regional at Georgia State University. Mr. Owens was introduced to music at an early age by his father, Charles T. Owens, who had many gospel songs published by the Stamps Baxter Publishing Company. 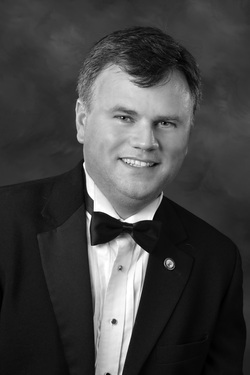 He is a member of the Georgia Music Educators Association, Music Educators National Convention, and the National Band Association. Band, co-conducts the Concert Band, and assists with the Wind Ensemble and Marching Indians. He is also the director of the Jazz Band and Saxophone Quartet. Under his direction, the Symphonic Band has consistently received Superior Ratings at the Georgia Music Educators Association District 6 Band Festival. Additionally, in 2009 and 2012, the East Coweta Saxophone Quartet was selected to perform as a lobby group at the GMEA In-Service Conference in Savannah, Georgia. Chris also assists with the three middle school feeder programs; Lee, East Coweta, and Arnall Middle Schools. ​Originally from Marietta, Georgia, Mr. Neidhardt earned a Bachelor of Music Degree in Music Education from the University of Tennessee, Knoxville in 2006. He and his wife, Kathryn, live in Newnan with their two sons, Matthew and William.